Back Bay is most widely known for Boston landmarks like the tallest building in Boston, the Hancock Tower, the Prudential Center and the world-famous Newbury Street. Small business owners who are looking to lease office and coworking space in Back Bay will enjoy the interesting mix of high rises and boutique office buildings. The famous brownstone architecture contributes to this neighborhood’s popularity among business owners. This desirable Boston submarket will only increase in size from its already 17 million square feet of office and coworking space. Plus, the development of a new Four Seasons Hotel, as well as a new office / retail building will offer more than 280 thousand square feet of office space. Another great feature of Back Bay is its close proximity to public transportation and the Mass Pike Highway for easy access to the suburbs. Back Bay is just one of the many neighborhoods perfect for small businesses looking to lease office space in Boston. Truss has listings in all of the Boston’s top neighborhoods and can help you find a space for rent within your budget. Truss cuts down on the time it takes looking for office space and Truss will help you find the one that fits your business best. 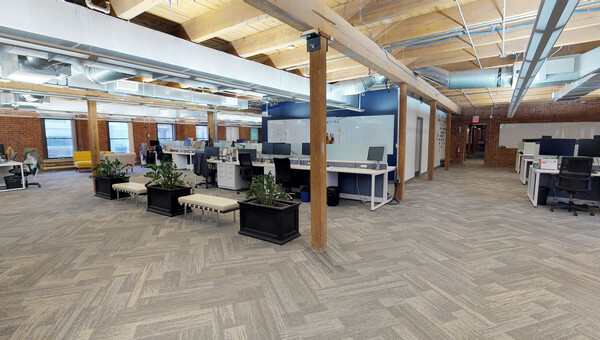 Our platform makes looking for commercial real estate easy by comparing standalone office space to coworking. Start looking for your next space to lease today.